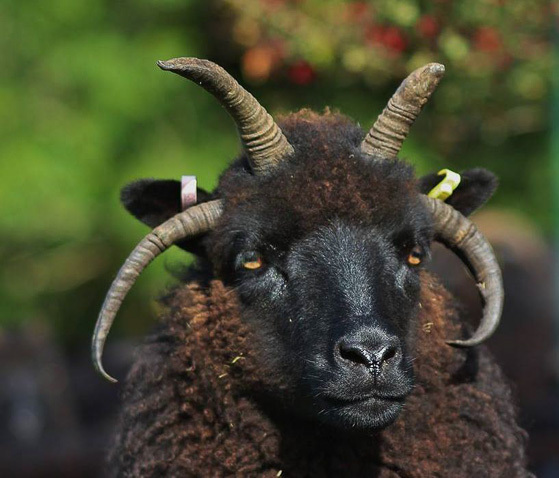 Do you keep Hebridean sheep and want to belong to an exciting and active Breed Society? Then you should consider joining the Hebridean Sheep Society. Even if you don't keep sheep, but just love everything about Hebrideans, there is no better way to support this wonderful native breed than by joining the Society. The Hebridean Sheep Society exists to preserve and promote Hebridean sheep as a distinctive and economically viable breed with qualities of importance to today's livestock industry and many types of ecological management task. Membership is open to all who support the aims of the Society. The Society is the registration authority for the breed within the UK and is affiliated to the National Sheep Association. You can download a membership form. Alternatively, you can contact us to obtain further information. 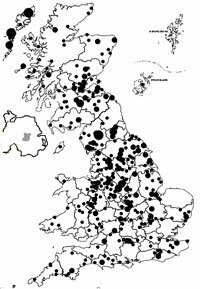 We have members spread across the UK - see map below (larger dots indicates more members within a single area).